Thank you for your question. 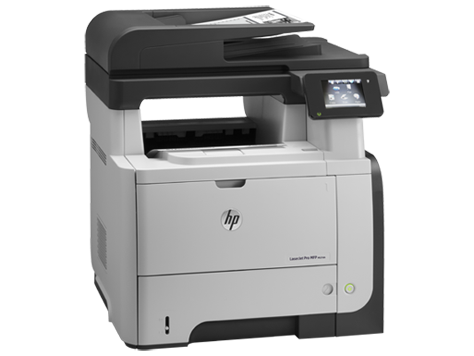 The HP LaserJet Pro M521dn does not print in colour I am afraid and would only require black toner cartridges. Hi, apart from not having the original brand, what's the risk when I buy a recycled HP M521dn cartridge? Am I compromising on quality or quantity (how much toner is there in the cartridges)? Thanks, Ulrik. Our premium brand compatible HP LaserJet Pro M521dn toner cartridges are very high in quality so you shouldn't notice any significant difference in print quality or operational performance when using them. Furthermore, we offer a 100% money back guarantee on compatible LaserJet M521dn toner cartridges so there's absolutely no risks involved with buying them whatsoever. You can return any compatible HP M521dn toner cartridges that are unsatisfactory and we'll refund your money. The compatible HP 55A and compatible HP 55X toner cartridges that we supply for your printer have the same yield as the genuine cartridges at 6,000 pages or 12,500 pages, respectively. Therefore, you'll benefit from a cheaper cost-per-print when using our compatible LaserJet Pro M521dn toner cartridges without having to compromise on quality.